Aren’t libraries supposed to be places that contain books for us? a. 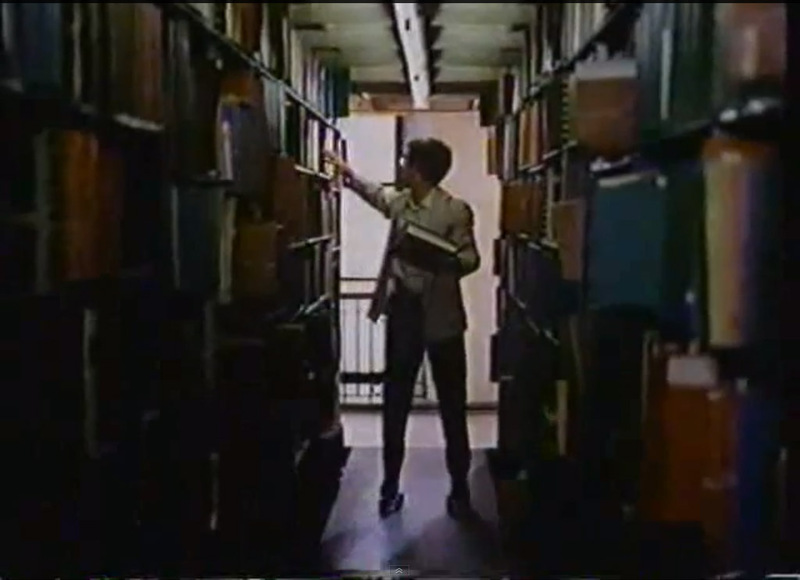 A place in which reading materials, such as books, periodicals, and newspapers, and often other materials such as musical and video recordings, are kept for use or lending. b. A collection of such materials, especially when systematically arranged. c. A room in a private home for such a collection. d. An institution or foundation maintaining such a collection. 1. a place set apart to contain books, periodicals, and other material for reading, viewing, listening, study, or reference, as a room, set of rooms, or building where books may be read or borrowed. 2. a public body organizing and maintaining such an establishment. 3. a collection of manuscripts, publications, and other materials for reading, viewing, listening, study, or reference. 4. a collection of any materials for study and enjoyment, as films, musical recordings, or maps. 5. a commercial establishment lending books for a fixed charge; a lending library. So it would seem that, by definition, a library ought to be a place where books are kept. Oh, sure, there is more to it than that: There is the idea the place where the books are kept should be a place where people can have ready access to them, the ease of access being a central purpose of having gathered the books together in one place . . Per that proverbial tree-falling-in-a-forest question: Would a collection of books kept on the moon where nobody could ever visit them still be a library? It’s doubtful, even if the books constituted the greatest collection of books ever assembled. Books being being brought together in a “collection,” “systematically arranged,” goes to the notion that an inherently valued goal is to have depth to the collection, the idea that presenting a multiplicity of choices for the reading patron is desirable, probably the more books to select from the better. What about librarians? Are they an essential part of a library? We’ll get to that before we conclude. Haven’t our visions of libraries always considered that we would find them filled with books, a wonderful wealth of books waiting to be discovered on their shelves? 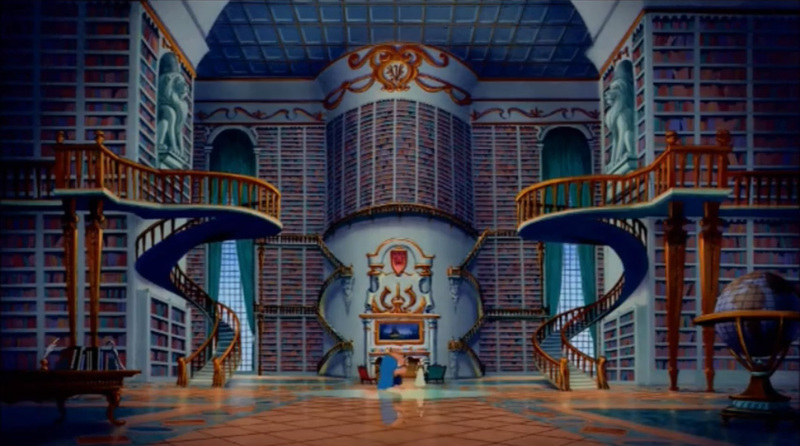 Here are some stills of libraries from famous movie scenes that feature libraries. Marian, the librarian with "The Music Man." Marian's library had books! Plenty of them. Two floors of shelves full of books! 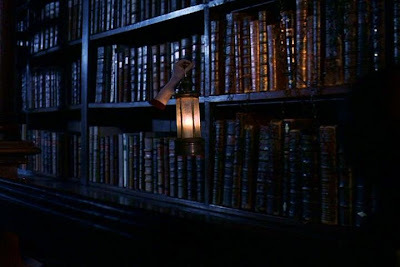 In Harry Potter, a ghostly exploration of the libraries for that one book containing an essential fact needed to make sense of the world the young protagonists must conquer. More that is ghostly: In "Ghostbusters." The ghost in the stacks of 42nd Street's Central Reference Library, like Audrey Hepburn, also seems t like to read more than one book at at time. To jump ahead, we will be getting to the way that librarians are disappearing from the libraries under the tenure of the current library administration officials who prefer to pay real estate people instead. 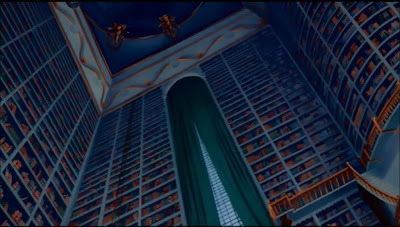 The imagined stacks of the 42nd Street Central Reference Library in the big budget, special effects "Ghostbusters" film are a good deal less fantastic than the real thing. By comparison, though full of books, they are quite pedestrian. 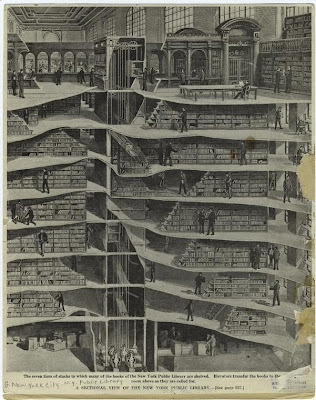 The real stacks beneath the Central Reference Library's Rose Reading room are a seven-story book-delivery machine designed to the height of perfection. A sectional view of the research stacks as they appeared on the cover of "Scientific American". 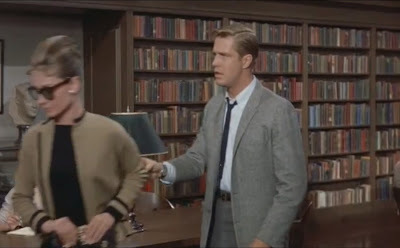 In 1966 Francis Ford Coppola directed "You're a Big Boy Now", his first film for a major studio, much of which was shot at the 42nd Street Central Reference library. In it Bernard Chanticleer, the young protagonist of the coming of age film, played by Peter Kastner, works as a book-delivering stackboy outfitted with roller skates to speed the books to library patrons with the greatest possible efficiency. The roller skates might seem like one of this Coppola film's several surreal touches that, like "Ghostbusters" set this film at a remove or two from reality. 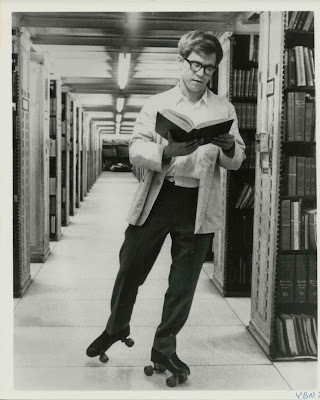 Coppola was enough in love with the idea of roller skating stackboys to put it in the film even though it wasn't in the book the film derives from, but it is a myth that the pages in the stacks scoot around on roller skates. It is not, however, an unreasonably baseless myth. 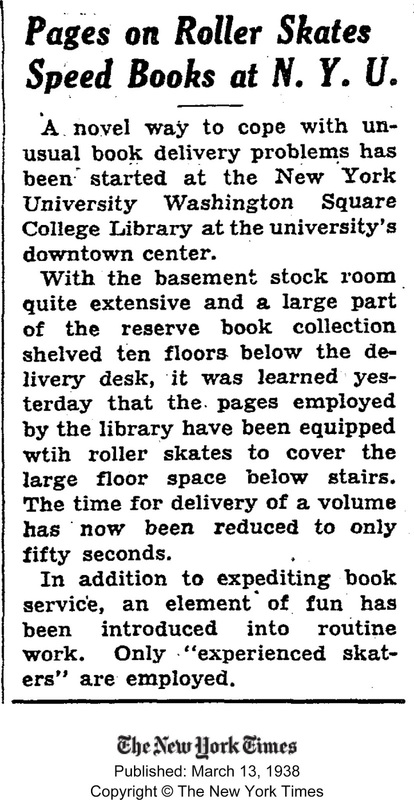 According to the New York Times, in March of 1938, NYU put the pages in its basement stockroom on roller skates to reduce the time for delivery of volumes to just "55 seconds." 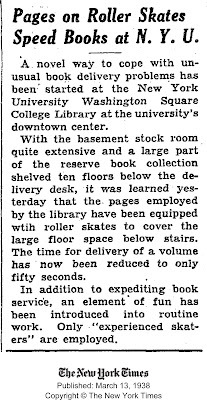 See: Pages on Roller Skates, ("A novel way to cope with unusual book delivery problems has been started at the New York University Washington Square College Library at the university's downtown center.") March 13, 1938. 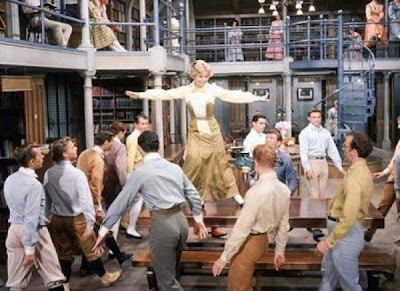 Actually, Coppola had previously been mainly a script writer and because he was given permission to direct on condition that the film's budget be kept extremely low, the film is rich in its delivery of sights of authentic New York circa 1966 and an authentic 42nd Street library. 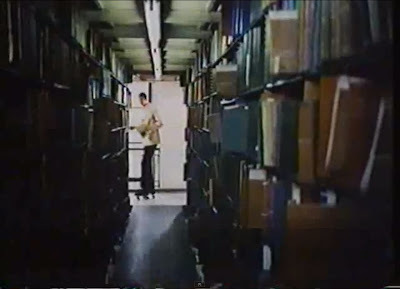 Indeed, the opening sequence over which the film's credits appear, depicts the genuine and superb efficiency of the research library's pneumatic tubes delivering book slip requests and the book elevator sending books up from the stacks. 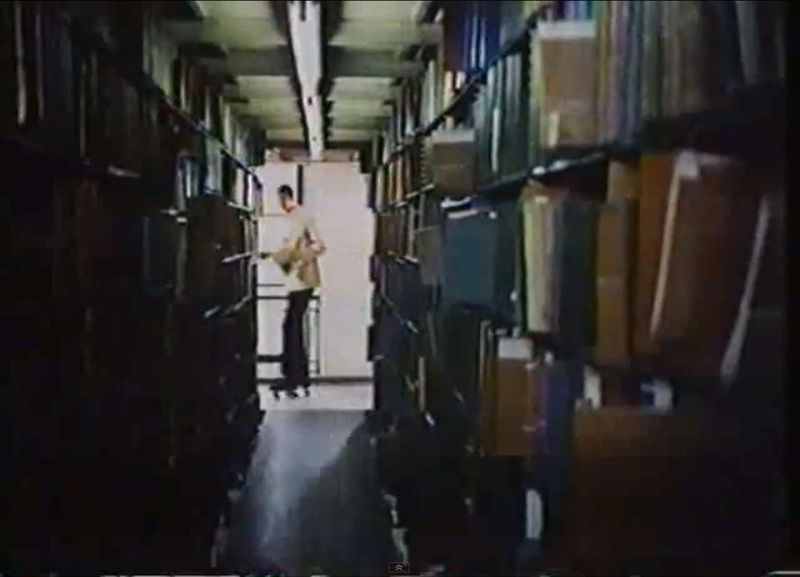 In the film, the research stacks are full of books. What about real life? What about real life today? 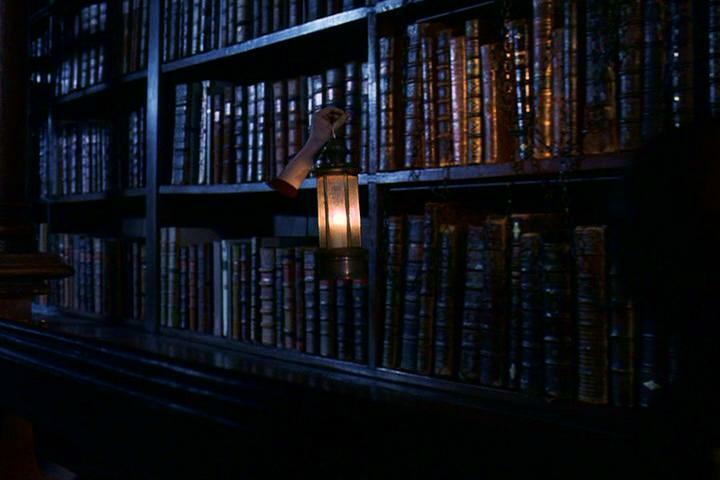 More ghostly than the scenes in "Ghostbusters" the NYPL, the library administration officials in charge of the New York Public Library, have removed all the books from the 42nd Street Central Reference Library's fabled stacks. See pictures below. Now, as part of what it calls the Central Library Plan, the NYPL plans to destroy the Central Reference Library's research stacks and sell off the heavily used Mid-Manhattan Library together with SIBL, the Science, Industry and Business Library recently built at substantial public expense in the old Atlman's Department store at 34th Street. (See: Sunday, July 7, 2013, When (If?) The Mid-Manhattan Library Is Ultimately Sold As Part Of NYPL’s Central Library Plan, How Big A Building Would Replace It? and Saturday, June 15, 2013, SIBL, NYPL's Science, Industry and Business Library Sold At An Unreported Loss To The Public (And an Elucidating Sideways Look At The BAM South Library Real Estate Games). 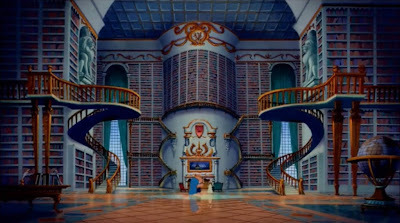 If you choose to treat as countable in the calculations all of the floor space occupied by the bookshelves and being walked upon by the actors in "You're a Big Boy Now" (despite unusually low ceilings) it actually amounts to 460,000 square feet of library space being reduced to just 80,000 square feet. This shrinkage is actually an about-face in terms of planning. 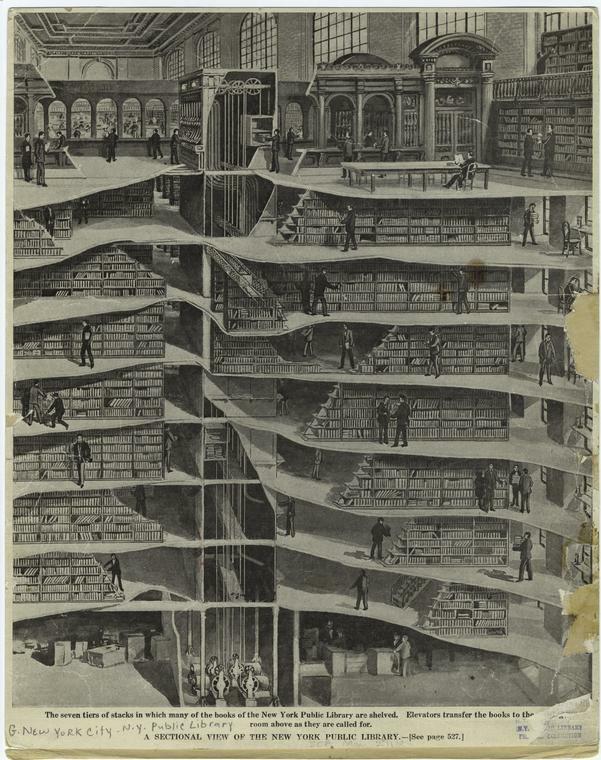 Previous to the current cast of real estate estate fixated executives now at the NYPL, library administration officials had planned to nearly double the size of the Mid-Manhattan Library. Why is the NYPL getting rid of the books? Because books take up space. There is no way that you can squeeze down all that space to something as tiny as proposed without getting rid of the books. Keeping books requires real estate and they only want to sell their real estate. 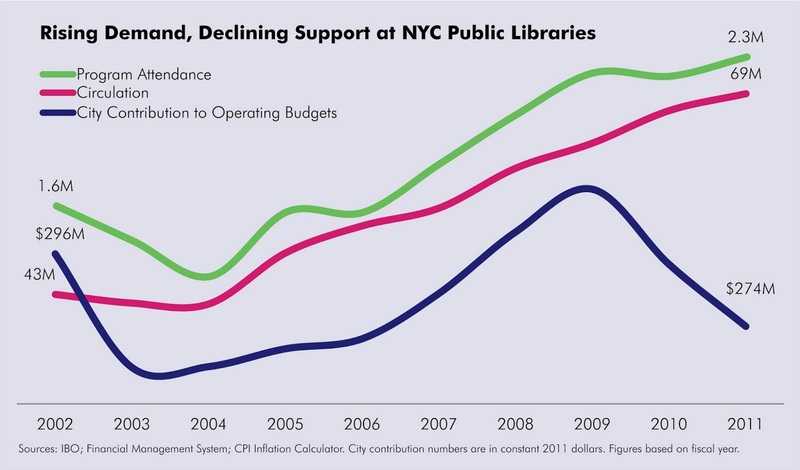 When Citizens Defending Libraries met with the NYPL's Chief Operating Officer David Offensend, Mr. Offensend confirmed that once the Central Library Plan is effectuated, shrinking down the space, there will be no option to expand the library space again to correct for any possible miscalculations and no way to accommodate future growth. If growth of any kind needs to be accommodated in the future the only way to do that will be to get rid of even more books. But Mr. Offensend also confirmed something else: That there were as yet no firm plans, no calculations about what quantity of books would be kept and accommodated in the new shrunken down space. Yet the real estate plans to shrink the space were already firmly in place. One may infer from this that the objective of selling the real estate came first and took precedence over decisions relating to keeping any books. I am a co-founder of Citizens Defending Libraries and was part of the meeting where Mr. Offensend informed us of these things. Librarians have been telling Citizens Defending Libraries that books are being removed from the NYPL's bookshelves according to edicts issued by Anne Coriston, NYPL's vice president for public service, one of the NYPL's library senior executives in the library group in charge of "Strategy" and the Central Library Plan consisting of COO David Offensend, Andrew W. Mellon Director Ann Thornton, Anne Coriston, Vice President for Capital Planning and Construction Joanna Pestka, Vice President for Finance and Strategy Jeffrey Roth, and Director of Strategy Micah May. On the NYPL trustee level, it is reportedly Stephen A. Schwarzman and Marshall Rose who are pushing the NYPL's real estate plans (both are in the real estate business), although apparently Mr. Offensend is now officially working on the Central Library Plan on a "task force" with two other trustees, David Remnick and Katharine J. Rayner. Mr. Remnick, a journalist, has since 1998, been editor of The New Yorker, a magazine that, under other circumstance, might have been expected to investigate and report vigerously and critically about the NYPL’s Central Library Plan. I thought I would go out to the libraries and see for myself if books were disappearing from the shelves. Unfortunately, as I can't time travel back, I have no "before" pictures to go along with these many "after" pictures. First, let's go to Barnes & Noble, just to remind ourselves what full bookshelves look like. I paid special attention to the biography sections. Closeup of books in the Barnes and Noble Biography section, in the center two copies of David Nasaw's "The Chief" about publisher William Randolph Hearst. Above, shown amongst a closeup of some of the biographies at Barnes and Noble, are two copies of the 2000 book, “The Chief: The Life of William Randolph Hearst” by David Nasaw. “The Chief” won the Anthony Lukas Book Prize and the Bancroft Prize for American history. It was nominated for a National Book Critics Circle Award. It is one of two books by Mr. Nasaw, the other being a biography of Joseph P. Kennedy, “The Patriarch: The Remarkable Life and Turbulent Times of Joseph P. Kennedy,” that contain information about my grandfather Thomas Justin White, who was president and general manager of the Hearst organization. When I visited the Mid-Manhattan Library this 2002 award-winning book was not on its shelves and I was told that the library no longer had a copy in its collection. I was told that if I wanted to read it I would have to go over to the Central Reference Library, currently a non-circulating library. Mr. Nasaw, together with Citizens Defending Libraries, is one of a number of plaintiffs participating in a lawsuit against the NYPL seeking to halt the Central Library Plan’s destruction of the research stacks. In total, nine recognized and award-winning scholars are joined with Citizens Defending Libraries in that lawsuit. Mr. Nasaw is also the author of a 2006 biography of library philanthropist and steel magnate Andrew Carnegie that was a finalist for the 2007 Pulitzer Prize for biography. The Central Reference Library's research stacks are constructed of Carnegie steel. 7. Those individuals who support the Plan are prone to boast that books relegated to offsite storage are made available within two days of request. My experience is that requests for materials stored "off site" often takes much longer than the vaunted delivery time of 48 hours. And this does not include those situations in which the book requested cannot be found, ostensibly due to its having been transported back and forth. 8. Frustrating though this is for a researcher living in the New York area — particularly when one returns to the Library on the predicted delivery date, and finds the item still not available — it is worse for scholars from out of town or overseas, who have to pay hotel and other bills while waiting and waiting and waiting. . . . In any event Barnes and Noble is still using its real estate to present us with physical books. By contrast, the NYPL is not currently filling its precious library real estate with books. 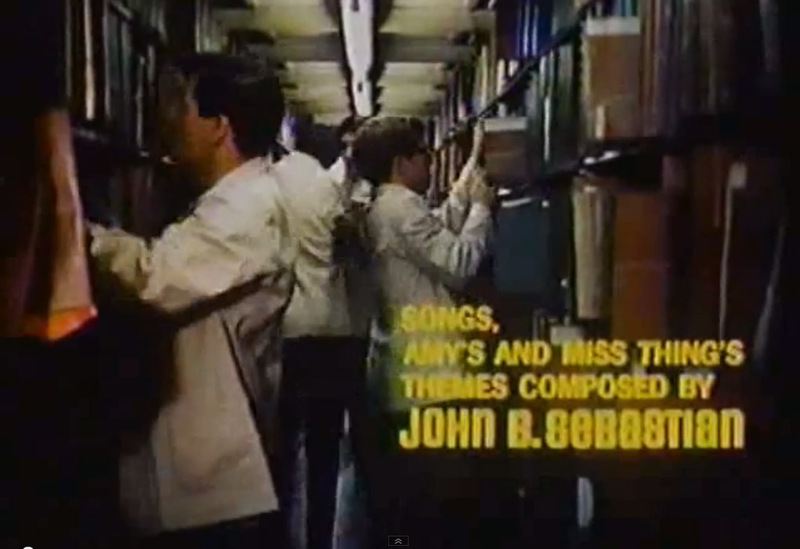 The pictures of largely empty shelves below are from SIBL. The emptiness does seem to substantiate the claim librarians are making that the NYPL wants its shelves no more than half full. One reason it may be considered extra startling that the shelves at SIBL are so empty is that this library has already gone through a significant contraction, giving up a lot of space to the Episcopal Church’s Church Pension Group, sold at very low price given what the public paid to build SIBL not so long ago. Coincidentally (or not?) the Church Pension Group moving into the SIBL space is freeing up real estate right next to the Mid-Manhattan library that the NYPL wants to sell off. A lot of the valuable real estate of the Mid-Manhattan Library's shelves is also going unused, some of it startlingly so. Mid-Manhattan has William Randolph Hearst biographies, but not "The Chief"
With the "extinction" of books at Mid-Manhattan, will readers find enough to teach themselves about global warming and mass extinctions of the past? This library is supposed to provide science research resources at the high school, college and general research level. At Mid-Manhattan, it's not just the books that are scarce. Shelves that could be holding DVD's and CDs (including great audio lectures) also look barren. I asked a librarian about finding DVDs of "The Avengers," the British television series from the 1960's with Patrick Mcnee's John Steed and Diana Rigg's Ema Peel. These DVD's are expensive to go out and buy. The program aired for most of the decade, but the library did not have enough copies to have any episode with Ema Peel available on the shelf that day. All that was available was a DVD from an early series year with Honor Blackman playing Cathy Gale, predecessor of Ms. Peel. That's not a scientific test by any means, but what are all those empty shelves about? The strategies of selling off libraries and library space that were launched by Offensend and his cohorts with the Donnell Library sale are now being exported to Brooklyn with proposed sales of Brooklyn libraries like the Brooklyn Heights and Pacific Branch libraries. The sale of the Brooklyn Heights Library, closely replicating the sale and shrinkage involved in the Donnell sell-off, involves a much smaller future Brooklyn Heights library. Ostensibly, according to the library administration officials looking to justify its sale, the Brooklyn Heights Library will be smaller because half of its services, operations and programming, what is referred to as its Business and Career functions, will be moved out of the central downtown Brooklyn business district. To the extent that those operations actually carry forward and exist in the future (Brooklyn Public Library officials say they will still exist) they will be moved into the Grand Army Plaza main branch library beside Prospect Park. In a consolidating shrinkage much like the NYPL's Central Library Plan, the physical space of the Grand Army Plaza branch is not being expanded to accommodate the arrival of these Brooklyn Heights Library's programs, functions, resources and books. When Josh Nachowitz, spokesperson for the BPL (formerly, before the advent of library sales, at EDC, the Mayor's real estate development agency) was confronted about the fact that there wouldn't be room for the half of the Brooklyn Heights Library to be put into the Grand Army Plaza he countered with the assertion that there would be plenty of room. Are the books already beginning to disappear from the BPL's Grand Army Plaza library in preparation to absorb the Brooklyn Heights and/or other libraries in the future? Here are some pictures. Brooklyn's Grand Army Plaza Library does have a copy of "The Chief"
There are library patrons who are telling Citizens Defending Libraries that when they go to Grand Army Plaza to get books they need in connection with their business, librarians tell them that the books aren't there anymore and have been sent to the Brooklyn Heights Library. That seems strangely on the verge of a shell game or runaround if the Brooklyn Heights Library's books are about to be sent to Grand Army Plaza. What's happening at the Brooklyn Heights Library? Are they paring down that library's book collections in preparation for a consolidating shrinkage? The pictures tell the story. As you look at them, it is important to remember that although the the BPL has expressed an intent to sell and shrink the Brooklyn Heights Library, it has, through Mr. Nachowitz, represented to the public that there won't be subtractions from its services before required public hearings about whether the real estate should be sold. Books on religion need to be culled down to this? In the Biography section there is still one Copy of "Bloomberg by Bloomberg"
I was pleased to see that the library still had one copy of "Bloomberg by Bloomberg," the 1997 biography Bloomberg issued about himself as he got ready to go into politics (and become substantially richer as mayor afterwards). When I wanted to review its content in the fall of 2009 (I was writing about how Bloomberg's "charity" isn't really charity), I went to the library for a copy because I neither wanted to buy the book nor give Bloomberg a royalty for it. I see that the library has since added two copies of the adulatory Joyce Purnick biography of Bloomberg. The Brooklyn Public Library has one copy of David Nasaw's "The Chief," but no other Hearst biographies of which there are many. I checked to see whether the Brooklyn Heights Library, unlike the Mid-Manhattan, had a copy of "The Chief." It did, but unlike the Mid-Manhattan, it had none of the other many William Randolph Hearst biographies. 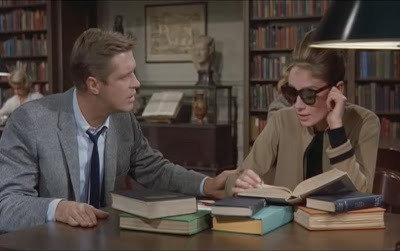 The library had no copies of the '60s television series "The Avengers," having never bought any, but I did have a good conversation with a librarian about what an outstanding role model the Mrs. Peel character is for girls. It was noted that "The Avengers" can be watched on Netflix. I haven't yet invested in a subscription. I had one scare over which I would have been aghast. I was told that library no longer had a copy of "The Federalist Papers." I had quickly obtained a copy of the "The Federalist Papers" there in the fall of 2009. I was told that the book, part of the libraries "floating collection," was not on site. It turned out the information was wrong and a dedicated librarian, correcting himself, ran out to find me on the street and deliver it to me after realizing that "The Federalist Papers"could be found on premises. Mistake corrected: The Heights Library did have a copy of "The Federalist Papers"
I'm told by librarians that a certain amount of annual culling of a library's collection is appropriate. Certain books, like some kinds of science books, become out of of date over time, so unless you are researching how science has progressed from one point of view to another over the years, some older books should come off the shelves. The librarians point out to me that if the budget is not sufficient to restock the shelves with newer replacement science books the collection could thereby dwindle. As there is underfunding, that could provide explanation for some recent shrinkage. Alternatively, some books don't lose their value over time and I am told that Anne Coriston's directives have included instructions to remove "shabby" (as well as duplicate) books from the shelves, something that doesn't make sense to librarians when you might be talking about rare or limited editions. It is also true that that in certain instances, certain data publishers have gone digital. Phone books are used less often; instead we go to the internet and get the phone number we seek mixed with some advertising. The absence of books in the library can be seen from the street at night when the library is closed. If and when the library is actually sold off to a developer for development will we look in to see worse? Are physical books unimportant to the library of the future? See: Publishers Weekly- Pew Survey Shows Power of Print, Jun 25, 2013. The demand for physical books at the library is not going down or being replaced by digital books: Although the NYPL has 84,000 e-book titles available only 7.3% of the books being checked out are e-books. The bigger subject of why digital books are not adequate substitutions for physical books is too big and complicated to get into here at this time, but suppose we set that subject aside long enough to ask whether we can have the kind of libraries we value without librarians, because we are getting rid of librarians also. Librarians, like library books, require space. 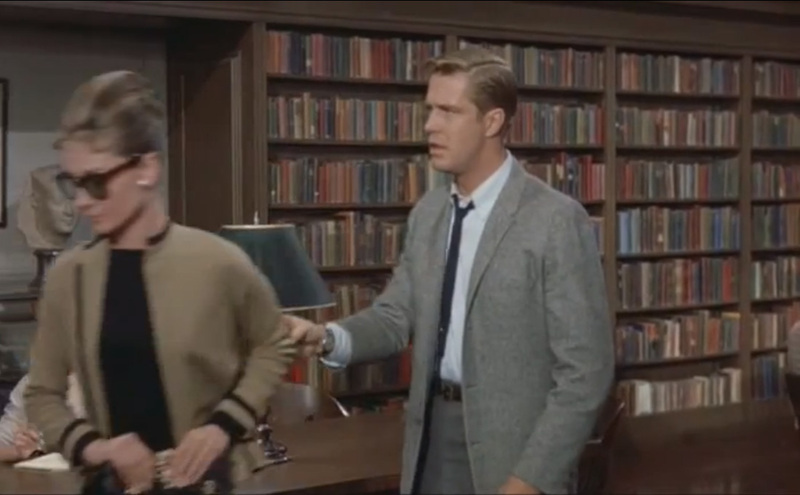 (Unless they are the ethereal, half-vanished librarian haunting the library in "Ghostbusters.") Sometimes the space librarians use and require is back office space, the kind of space that isn’t necessarily accessible to the general public and which library administration officials cheerily tell us they can get rid of without consequence. Maybe an even simpler question should be asked: Forget entirely about the space we are taking away from them for a minute. . . 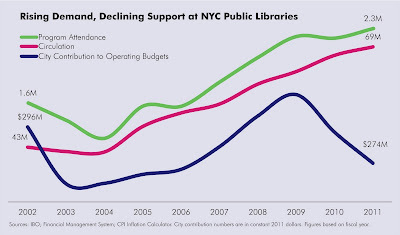 If we still truly value our libraries, would we be cutting their funding drastically at a time of greatly increasing use when the city is growing and wealthier than it has been in years? If that answer is the self-evident negative I believe it must be, can’t we then intuit that all these other subtractions of library resources being thrust upon us by the same people who are underfunding our libraries are just as equally ill advised? One thing is certain: If we let library and city administration officials get rid of the libraries' book collections, then, by definition, what we are left with in the end won't actually be libraries at all. Such an in-depth article on our most precious resource: Our public libraries! Thanks for your great research, writing and photos! PS: Wish I could share this on Facebook! You CAN share this on Facebook! Just as you wish. Paste the link for this article into a Facebook page, or got to the Noticing New York Page or the Citizens Defending Libraries page on Facebook (both of which you can "like" while you are there) and you will find posted links to this article which you can share. I went to the NYPL branch on the ground floor of a retail space on East 58th Street last week to renew my library "card." It looks like there has been a reduction in the book inventory there as well. While not quite as bad as in the photos that have been shown in the recently posted pictures, it was noticeable.